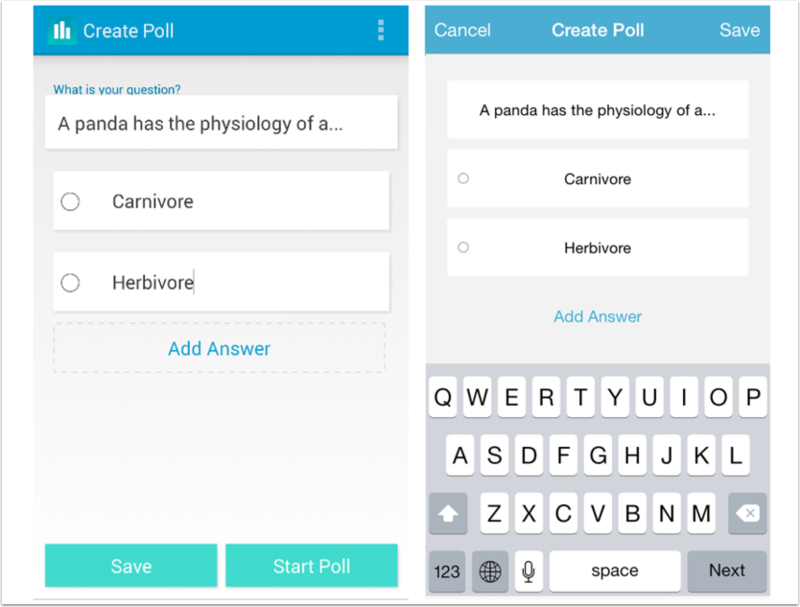 The Polls for Canvas app is the easy way for instructors to request student opinion in the classroom and collect responses with ease—users only need to download the Polls for Canvas app on their smartphone devices. Polls for Canvas requires a Canvas account. If you are an instructor and your institution does not use Canvas, sign up for a Free for Teacher account. If you are a student and you have been invited to a Canvas course, you can create an account as part of the course invitation. 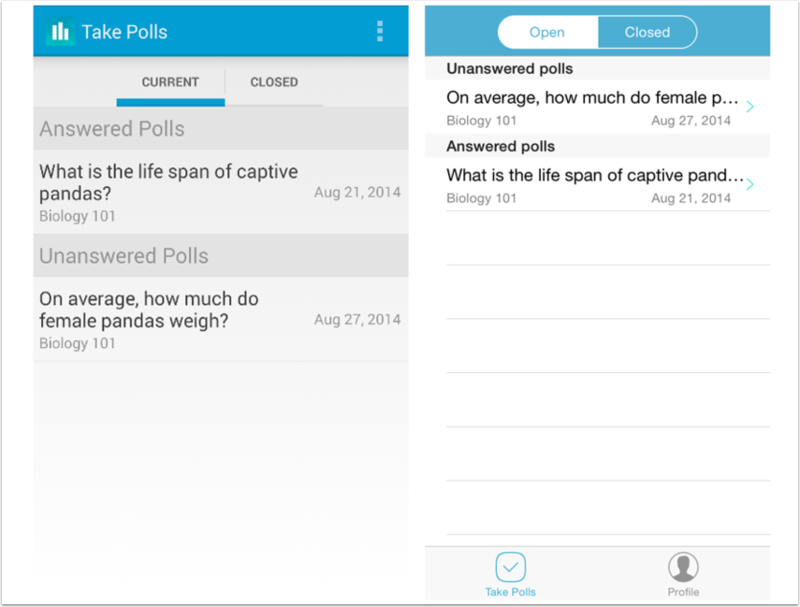 The Polls for Canvas app is available for both Android and iOS devices. Instructors can create poll questions and start a poll with all their Canvas courses, either all sections in a course or individual sections in different courses. Create opinion polls with no set answer, or create a poll question that requires a correct response. Stop the poll at any time and show and hide poll results with students. Students can view and take all polls available to them. Polls are organized as current or closed; current polls are sorted as to whether or not they have been answered. If an instructor allows, students can also view results for a closed poll. Instructors also have the option to view and take any poll they create for their course. Previous Topic:What is the Canvas Parent app? Next Topic:What is the MagicMarker app? Table of Contents > Mobile Features > What is the Polls for Canvas app?